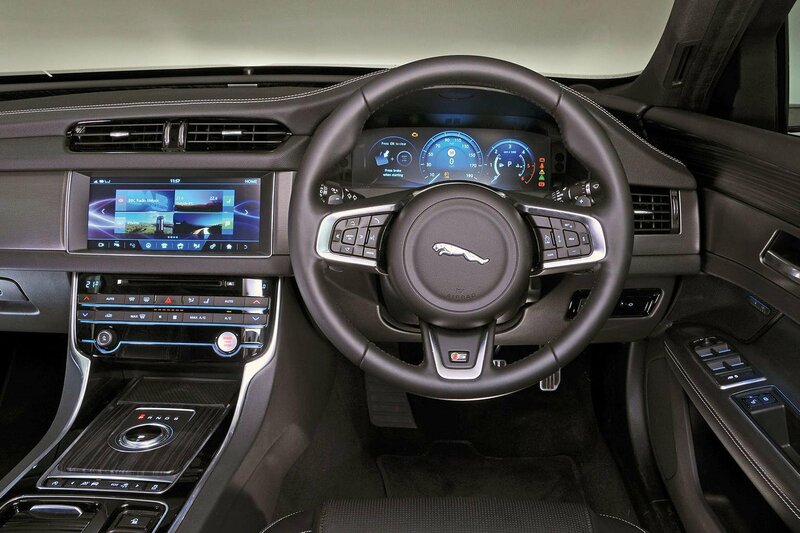 Jaguar XF Interior, Sat Nav, Dashboard | What Car? It’s easy to get comfortable behind the wheel of the XF. The pedals line up neatly with the driver's seat, while the seat itself is comfortable and supportive and there's plenty of adjustment. Prestige, Chequered Flag and R-Sport come with an eight-way manually adjustable driver’s seat (apart from the backrest angle, which is electric). However, you’ll have to fork out extra on these trims if you want adjustable lumbar support. Portfolio and S get 10-way fully electric driver’s seats with the adjustable lumbar support as standard. You can upgrade these to 18-way electrically adjustable 'sports' seats, or 20-way 'luxury' seats if you’re willing to pay for a pricey optional extras pack. The dashboard is fairly logically laid out and easy to interact with, with clearly labelled buttons that are easy to operate while driving. The driver will have no problems seeing out of the front of the XF. Its thin windscreen pillars mean very little is obscured at junctions. Similarly, the front side windows are deep enough that roundabouts and T-junctions are no bother at all. The rear side windows aren't too pinched, so anyone sitting in the back won't feel claustrophobic. The rear pillars are quite thick, though, obscuring the driver's over-the-shoulder view. 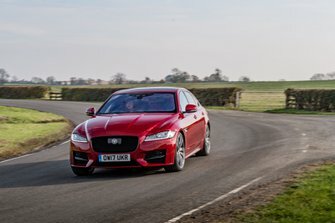 Thankfully, all XFs come with rear parking sensors, while all models apart from Prestige also get front parking sensors, but a reversing camera is standard only on Portfolio and S models. A 10.0in touchscreen infotainment system with a DAB radio, Bluetooth and sat-nav is standard across the range, while Apple CarPlay and Android Auto smartphone mirroring are optional. However, the system doesn’t compare favourably next to the best systems, such as BMW’s iDrive and Audi’s MMI, both of which are much easier to use on the move, in part thanks to their rotary dial controllers on the centre console. The XF’s screen can be a bit laggy in its response times, some of the icons are frustratingly small and hard to hit, and the menus are slightly confusingly laid out. 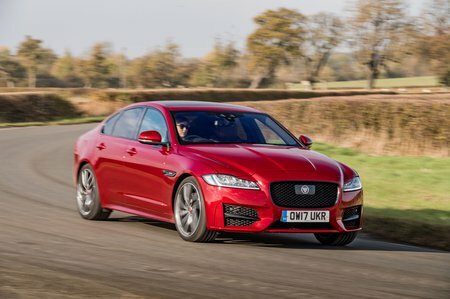 There’s no getting away from the fact that the XF's interior feels a little low-rent compared with its best rivals'. Leather seats are standard, but the hide doesn't feel particularly plush or expensive. The plastics used on the dashboard and door trims are a bit of a letdown, too; they just don't feel as solid or dense as those in the Audi A6, BMW 5 Series and Mercedes-Benz E-Class. The same can also be said for most of the buttons and switches. They don't feel downright cheap, but neither do they operate with the slickness of those in its rivals.